Congo opposition parties said election officials were trying to provoke trouble by delaying Sunday’s scheduled presidential election and warned they would not tolerate any move to further postpone the contest. Felix Tshisekedi, a leading opposition candidate in the Democratic Republic of Congo’s presidential contest, urged his supporters to stay calm despite the electoral board’s (CENI) decision on Thursday to delay the vote by a week. The CENI announced the election, which has been delayed several times since 2016, would now take place on Dec. 30 due to a fire last week that destroyed voting materials. 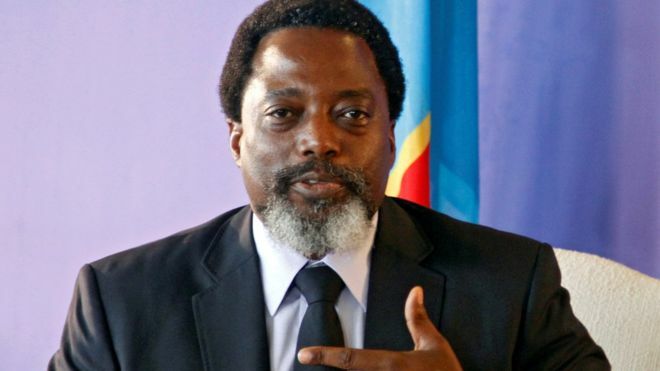 The poll is meant to choose a successor to President Joseph Kabila, who is due to step down after 18 years in what would be Congo’s first democratic transition. In remarks to the media and hundreds of chanting supporters, Tshisekedi accused the CENI of trying to provoke his followers to protest in order to later accuse them of inciting trouble. “We are aware of this strategy. That’s why I ask you to remain calm and respect the position that we are announcing,” Tshisekedi said at the headquarters of his Union for Democracy and Social Progress (UDPS) party. UDPS secretary-general Jean-Marc Kabund added in response to questions from the media that any further delays would not be accepted, saying that the new election date was “a red line”. “If there is a delay of the election after the 30th, you don’t need to wait for our instructions,” Kabund said. Kabila’s refusal to step down when his mandate officially expired in December 2016 sparked violent protests in which security forces killed dozens of people and contributed to a spike in militia violence across the country. Security forces have cracked down in the past week on supporters of Tshisekedi and the other leading opposition candidate, Martin Fayulu, who are competing against Kabila’s preferred candidate, Emmanuel Ramazani Shadary. At least seven opposition supporters were killed last week, and Kinshasa’s governor suspended campaigning in the capital on Wednesday, citing security fears. Both candidates competing to become Madagascar’s next president claimed victory after an election runoff, even though only a small percentage of the results have yet been declared. Two former presidents contested Wednesday’s second round – Marc Ravalomanana and the man who ousted him in a 2009 coup, Andry Rajoelina – and the nation is hoping for a peaceful outcome with no repeat of the political chaos of almost a decade ago. Madagascar’s electoral body said results from 5 percent of all polling stations showed Rajoelina, whose candidate number on the voting list was 13, leading with 57 percent. Rajoelina and Ravalomanana – whose nickname is “Papa” – promised to put the past behind them when they entered the race, and both said they would accept the result as they cast their ballots in the capital, Antananarivo. Nevertheless they pre-empted the final results on Wednesday night, although they also promised to await the official outcome. “We have seen the results. Even if they are not official they are part of the results: Papa wins,” Ravalomanana told supporters. That drew a response from Rajoelina. “My competitor said he has won but the fact is that number 13 has won in the whole of Madagascar,” said Rajoelina, who led protests that forced Ravalomanana out of office before going on to become president. Soldiers who were deployed across the island to ensure security during the polls were still seen on the streets. The budget is the fourth Buhari has present to parliament since taking office in 2015 but, unlike the others, did not set record high levels of spending as the government seeks to lower debt. He also received a rowdier reception than in the past, with his statements greeted by boos and cheers. The spending plan is smaller than the record 9.12 trillion-naira budget for 2018 that he signed into law in June. The budget must still be approved by parliament before it can be signed into law, a process that can take many months. Nigeria’s first gold refinery is expected to more than triple its capacity within five years after operations begin next June, an executive at the company developing it said on Tuesday. Nere Teriba, vice chairman of local firm Kian Smith Trade & Co, said the refinery would initially be able to produce three tonnes per month of gold and one tonne of silver, rising to 10 tonnes a month of gold and three tonnes of silver in five years. Nigeria has largely untapped deposits of 44 minerals, which include gold, iron ore, coal, tin and zinc, in more than 500 locations spread across Africa’s most populous nation. But most of the mining is artisanal and the absence of gold refineries means value typically has not been added in the supply chain. Construction workers broke ground at the refinery site in the southwestern state of Ogun last week. Teriba said work was expected to be completed by the end of February 2019 and production would start by the end of June. “It is a five-year expansion plan to get to 10 tonnes a month of gold. Silver will probably go up to about three tonnes a month,” Teriba said in an interview with Reuters in Lagos. The company said it would supply Nigeria’s central bank as well as the jewellery industry. “The gold supply for the refinery will be coming from Nigeria … but also from the rest of Africa,” she said, adding that Kian Smith had a memorandum of understanding with a supplier to bring gold from Ghana, Sierra Leone and Tanzania. She said one supplier had committed to providing a total of 100 kg each month from Ghana and Sierra Leone. Teriba did not identify the supplier. Most ore will be sourced locally from various locations including the northwestern states of Zamfara, Kebbi and Kaduna, as well as the central states of Kwara and Niger. Teriba said the company had MoUs from about 200 gold suppliers. Some 80 percent of mining in Nigeria is carried out on an artisanal basis and gold is routinely smuggled out of the country illegally to neighbouring Cameroon and Niger, as well as Togo before being registered in those countries. Teriba said Kian Smith was in talks with the government after proposing an altered approach to import duties and royalties. “We are working with the government on a proposal to reduce import duties on gold dore,” she said, adding that the company had asked the government to make refined gold bars and coins free of value-added tax. Gold mines produce gold dore bars, a semi-pure version of the substance, which are sent to a refinery for further purification. Nigeria’s unemployment rate stood at 23.1 percent of the work force in the third quarter, up from 18.1 percent a year earlier, the head of the statistics office Yemi Kale said on his official Twitter feed on Wednesday. In the first-round election last month, Rajoelina got 39.23 percent and Ravalomanana 35.35 percent of the vote. Hery Rajaonarimampianina, who has been president since Rajoelina stepped down in 2014, came a distant third. Provisional results in the run-off are expected before the end of the year. In Sudan at least eight people were killed during protests across the country in protests led by students against rising food prices and shortages of basic commodities, which have led to calls for President Omar el-Bashir to quit office. At least six protesters were killed in Gadaref state, where the government has declared martial law to contain the spreading violence. Two protesters were also killed in Nile River state. Scores of people have been reported injured across the country in clashes with the police and the security forces. Emergency law has also been declared in the central city of Atbara, where protesters burnt the ruling party’s office. In the capital, Khartoum, residents have blocked streets and made bonfires in protest against the government. President Bashir has ruled Sudan since 1989, when he came to power in a military coup.